If you operate a golf course, then you know just how important visual appeal is to your clientele. Avid golfers enjoy playing on robust, attractive courses, not courses marred by poor landscaping, sick trees or fallen branches. 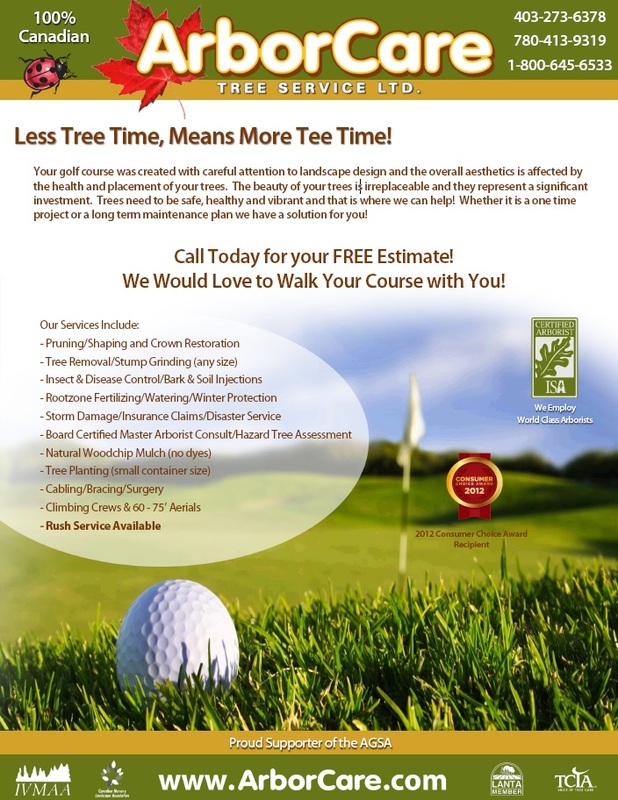 At ArborCare Tree Service, we offer Golf Course Landscaping Maintenance services to clients throughout Western Canada who need their courses to look attractive and stay well-maintained. Every single golf course is unique, and that means that the landscaping needs to take into consideration things like the local climate, local soil and other conditions that can affect tree growth. Our expert arborists will carefully analyze the situation to ensure that the trees we plant on your course are species that will thrive for years. Would you like to learn more about how we can make your golf course more attractive to players? Then contact us today to get started.